Good Morning my loves!!! I hope everyone had a wonderful weekend. I met clients, ran errands, and of course relaxed. I am trying to get used to my new schedule...I have been waking up around 3:45 at least 5 times a week and today I woke up at 3! I love my morning routine which includes reading while sipping my coffee, meditating, and of course working out so if that means I need to wake up at a crazy time; it is worth it. Today I want to talk to you guys about a new Protein Powder that I tried over the weekend. I am part of the GNC Women of Wellness community and one of the perks is trying new products from GNC including AMP Women's Advanced Protein. It's a fact that female athletes need unique nutrients in just the right proportions to maximize lean muscle recovery and athletic performance. 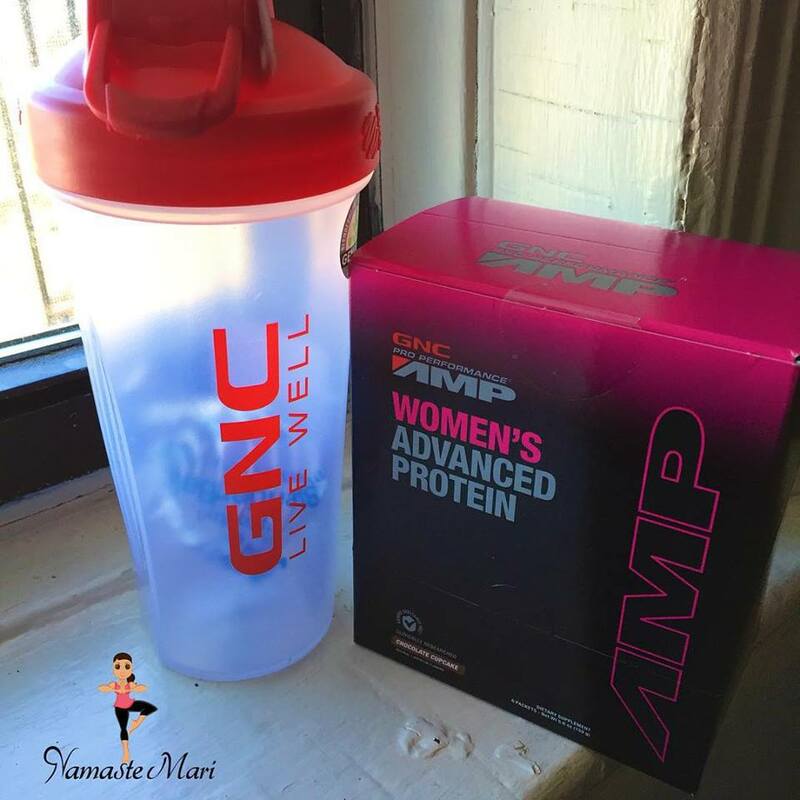 Women's Advanced Protein is made just for women with the highest quality ingredients in just the right amounts. I have to be honest, I was a tad hesitant to try it because sometimes I am not a fan of chocolate products and now I wish that I never tried it...because I LOVED IT. You know what that means? Now I have one more thing to buy at GNC (I shop there way too much haha). The taste sort of reminded me of the chocolate cake that I used to make with my Easy Bake Oven ha. It was a subtle chocolate flavor and I swear, I tasted a hint of caramel. I believe you are able to receive a sample if you join WOW so head over there STAT!